A fluid die is a specially shaped, hardened metal shape in which another metal part can be placed and subject to hydraulic pressure in order to take on the shape of the die. 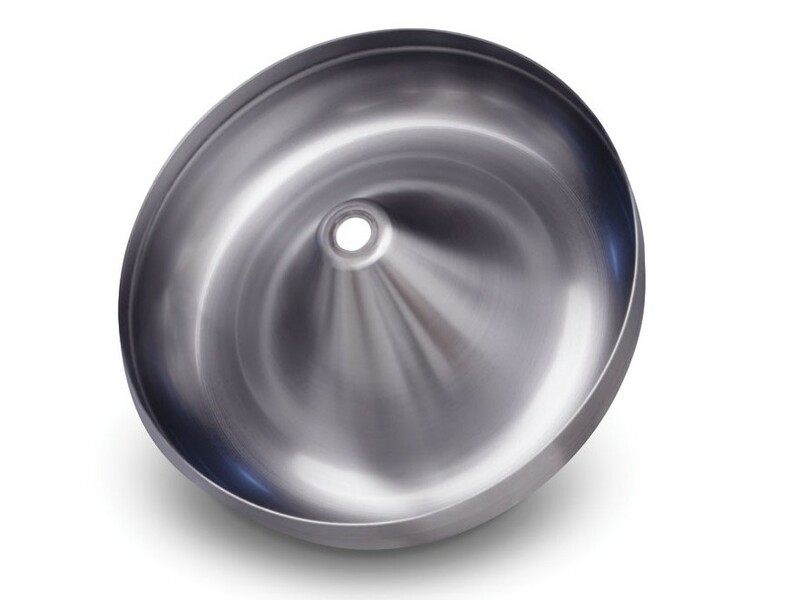 Hydroforming – Acme Metal Spinning Inc.
Hydroforming is used by metalworkers to create complex, light weight metal shapes of even wall thickness and good qualities of strength. Hydroforming is a cold working process, which means that it is performed at or near room temperature. This allows for qualities of strength and durability to be imparted unto the metal as it is formed. Hydroforming is an attractive alternative to hot metalworking processes, which are very widely used metal shaping processes, but which involve a higher risk of metal oxidation and other undesirable composition changes. The largest consumer of hydroformed metal parts is the automotive industry. Automotive metal tubes in particular are often shaped by hydroforming processes; hydroforming can create complex shapes with irregular dimensions without decreasing tube wall thickness. Other commonly hydroformed parts include bicycle components, flexible metal bellows, chemical transmission pipes and many other products. Hydroforming is a cost-effective way to shape metals. During the process, hydraulic fluids force metal around the contours of a die, so the material has a more consistent thickness. 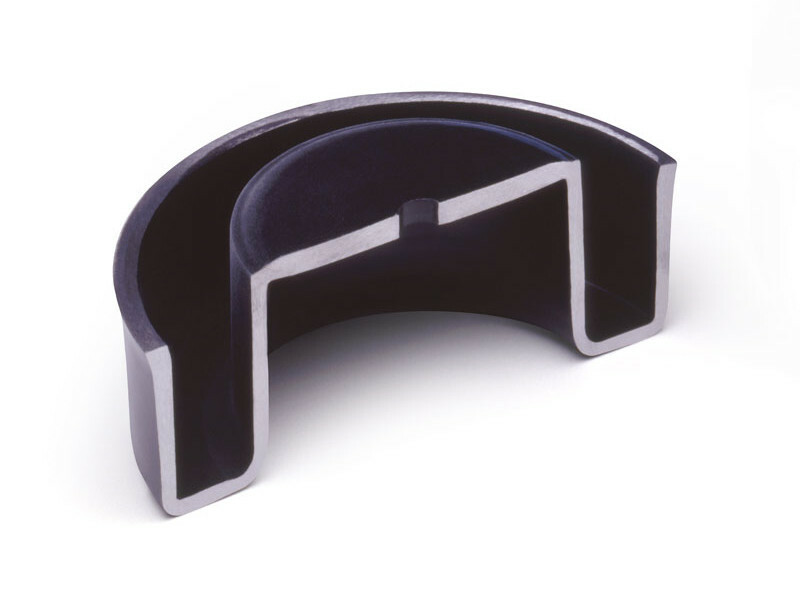 Hydroforming uses fluid pressure in a conventional tool set to form the part into the desired shape of the die. Hydroforming is advantageous because it can perform in one operation what other methods perform in three, while still maintaining the stiffness of the finished product. Four primary types of hydroforming currently exist. The most popular type, hydroforming of tubes, is usually performed at low pressure and offers tubular parts with improved integrity and structural performance. Panel hydroforming, often used in the aerospace industry, is a high-pressure process that is used to achieve the correct material flow. The third type, low-pressure hydroforming, involves reshaping tubes when the cross-section definition is not strict. High-pressure hydroforming, the fourth type, also reshapes the tube, but more drastically. In this type of hydroforming, the length-to-circumference ratio can change up to 50 percent. Aluminum, aluminum alloys, carbon steel, mild steel, copper, brass and bronze alloys, nickel, and nickel alloys are metals that are commonly used in hydroforming. Hydroforming Hydroforming is a metalworking process in which pressurized fluids are used to shape metals. Hydroforms are produced in equipment called fluid dies.